TechPath is a full-service Brisbane IT company focused on delivering computer services, cloud and hosting, internet, phone systems and business technology solutions that make businesses more successful. Our team of IT professionals draw upon their depth of business and technology experience to custom design innovative solutions that enable powerful business outcomes. TechPath employs people who value integrity and have a passion for their work. We take a collaborative approach, which means our experts are generous in sharing their knowledge and experience with customers and colleagues. Customers can expect every TechPath team member to take responsibility for the work we do, and to care deeply about the outcome of every project. “Our mission is to make businesses more productive and successful with technology”. “By delivering the ultimate customer experience, we will be the technology provider of choice”. At TechPath, we understand that nothing matters more than delivering a superior customer experience. We are constantly looking for ways to build stronger relationships and deliver outcomes well above our customer’s expectations. As Managing Director, Troy creates the TechPath culture that drives us to do our best for our customers. He is a firm believer that the relationships we build form a vital part of our brand. 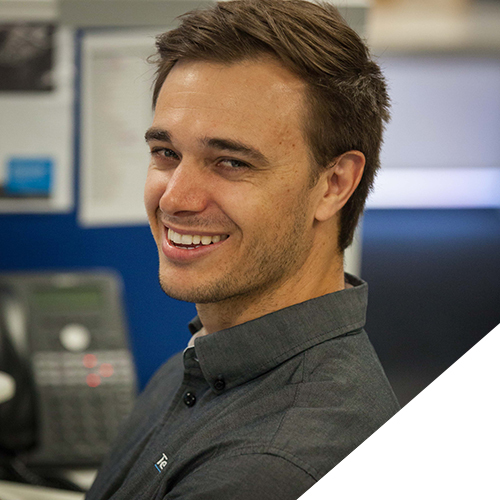 Troy loves speed, both in the business technology solutions he designs and as a passionate motor racing devotee. Troy started TechPath while he was still in high school, and his love of well-designed technology solutions has grown with the business. He is never content to settle on a merely adequate outcome; Troy is known for encouraging customers to expect awesome. Troy is the resident TechPath sports nut, and away from the office he can usually be found doing something active like boating, exercising, or hurtling down mountains on a snowboard. Amazingly, he also finds the energy to keep up with his young children. Even though Chris has worked his way up from tech to General Manager, he has never lost his fascination with IT. These days though, his focus is more often on the business drivers of technology. Chris loves analysing things to see if he can improve them. Systems, processes, racing cars – when he spots an opportunity to make something better, he takes it. This is probably why Chris names one of his biggest management strengths as spotting opportunities to make advances and improvements. Chris was almost certainly one of those kids who endlessly pulled household items apart, re-engineered them, and made them more efficient. Outside work, Chris is always up for a challenge – especially if it involves travelling the world. He cares deeply about the communities he encounters along the way, and once raced a rickshaw 3,500km across the crazed roads of India to raise funds for the Cool Earth Charity. Stewart is an expert at interpreting customer needs, engineering information, partner product options and supplier logistics. He acts as ‘the cog’ in our organisation, bringing all these diverse elements together. He uses this skill to make sure the expectations of every customer are exceeded by the technology outcome. When you want to put some wow factor into business IT, Stewart is a great sounding board to discuss your vision. 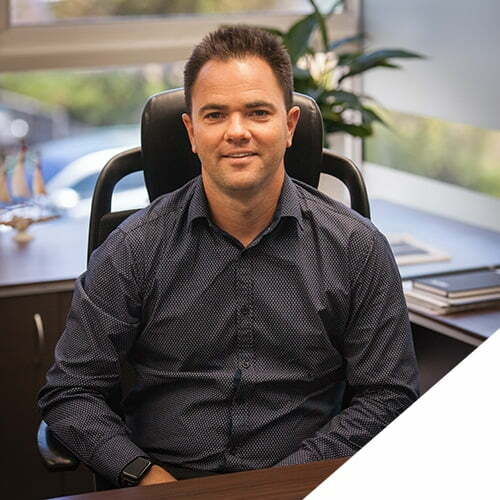 He specialises in futurist ideologies for business processes, and loves to explore the possibilities for disruptive innovation via technology. Even though he has a fascination for cutting edge technology, Stewart’s other interests are more traditional pursuits, such as camping, fine art and photography. He has a taste for travel, adventure and dog biscuits – just ask him – and he has travelled to some of the world’s most spectacular locations, including India, Hawaii, and the Mount Everest base camp. Dan is the TechPath project whisperer. He’s one of those people who are extremely good at organising things, which is why he’s the exact person you want in your team when you have a project to manage. He knows servers, infrastructure and backups inside-out. Having someone this good at keeping track of all of the finer details makes TechPath customers very happy, and saves them a lot of stress. We’ve never met a project that Dan couldn’t tame. Dan loves to keep fit and to travel. Living up to his reputation for efficiency, he combined his interests, in the form of two ski seasons in Canada. Dan also spent a summer in Sweden, and a year in England. As a result, he can make an excellent cup of tea and understand Ikea instructions. Gary designs many of the technology solutions that our customers depend on. He likes when customers bring him their tough technology challenges to solve. Gary asks a lot of questions, so that he learns a lot about your business. This helps him to create solutions that fit perfectly. As you might expect, Gary is a whiz at virtualisation, enterprise storage, Citrix and networking technologies. Lydon is passionate about getting the best outcomes for TechPath customers. He leads our Echo team, and oversees the projects they are rolling out. 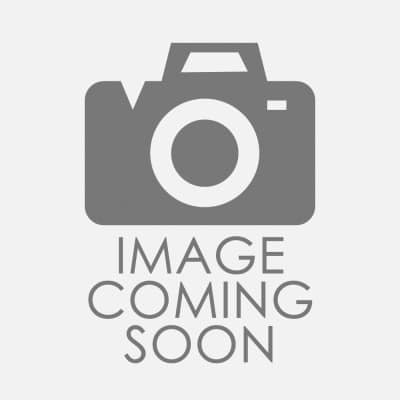 Lydon loves to solve network related problems and is an expert in Office 365 and Exchange. Well-travelled, he has visited many destinations including South Africa, the USA, Ireland, Scotland, England, France, Italy, Greece and Singapore. He is passionate about rugby and played union for Queensland Country. He also enjoys fishing and mountain bike riding. Passionate about effective communication, Andrew leads Bravo, our largest support team. He has over 10 years’ experience in an MSP and is fascinated with IT security. 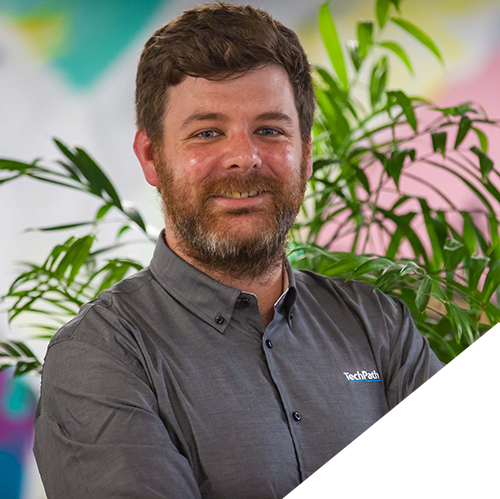 Being a senior technical escalation point and our in-house guru for Office 365 and Sophos firewalls keeps him busy, but outside of work Andrew enjoys spicy food and growing his own chillies. He loves getting out on his motorcycles and this year will travel to the Isle of Man for what is often called one the most dangerous racing events in the world, the Isle of Man TT. James heads up our Foxtrot team and loves getting things done. He is an expert in communication and problem diagnosis, planning, and team management. He enjoys working with people and is known as our friendly downstairs morale officer. Outside of work, James loves to get off the beaten track. He can be found adventure motorcycling, camping, shooting, and on the racetrack. He likes to see the less seen side of Australia and has visited five states and territories on his motorbike. When he was young, he rode over 1,200km interstate on a small sports bike to move to Queensland. He quickly fell in love with Brisbane and its way of life and has been here ever since! Some people seem to have organisational skills flowing through their veins, and fortunately Lauren, our job coordinator, is one of them. She keeps our technicians on their toes, and makes sure they are in the right place at the right time. 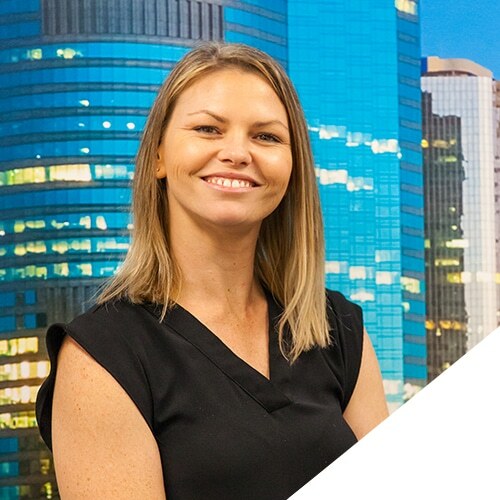 Lauren juggles workflow, job queues and project management seemingly effortlessly, all while maintaining her trademark good humour and joie de vivre. 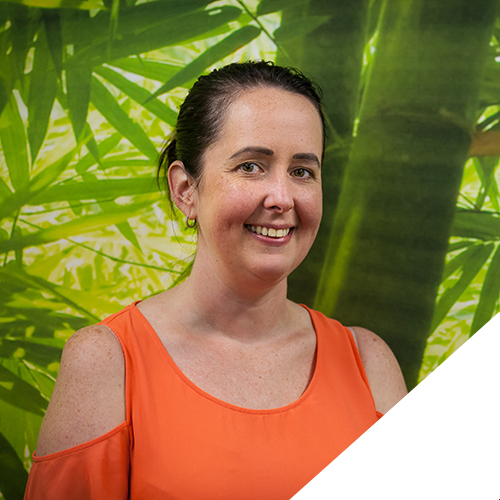 When she’s not busy keeping TechPath projects running smoothly, Lauren enjoys cooking and has travelled to destinations including New Zealand, Thailand and Singapore. She is super-flexible, which helps her to keep her two children in line. When she takes a day off, it is known in the office as a ‘Lauren day’, and we all eagerly await her return. Customer service is a big deal at TechPath, which is where Kate comes in. She fearlessly advocates for customers to make sure support is delivered on time, and to the highest standard. She loves participating in office social and fitness events and encourages the team to get involved. Outside of work, you will find her riding her dirt bike or spending time with family and her animals. She is passionate about health and fitness and interestingly has only left her hometown of Brisbane once.